Becoming an influential business leader requires translating your personal leadership style and experience beyond the confines of your business. As a fully-customizable domain, your can configure your new .CEO URL to suit your purposes, whether that is hosting a website for your leadership speaking profile or as an easy-to-remember shortcut to your business profile on your company site or LinkedIn. Best of all, YourName.CEO communicates to your audience exactly who you are and what you do. The Internet has made the world a smaller place, yet distinguishing yourself can be a challenge as people the world over look to create their personal brands. With a .CEO Domain, though, you will instantly separate yourself from the pack with a URL that communicates who you are and what you do. Along with your .CEO Domain comes our simple drag-and-drop Profile Page design tool that allows you to customize your digital busiess profile. Feature a full-page professional portrait or a video highlighting your achievements as well as key recognition points like your professional biography, social media handles, and external sites. You can design your professional profile page or let one of our VIP Support Team build for you. Once your Profile Page is built, share it on your business cards and other profiles as the landing page for your online presence. 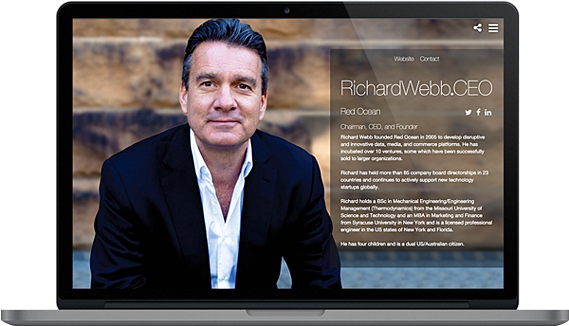 Get started with YourName.CEO today at Claim.CEO or read on to learn more about the .CEO Platform.